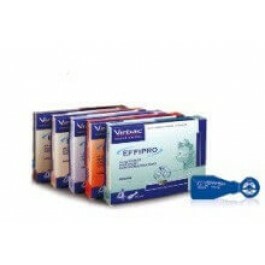 Box containing four 2.68ml pipettes. 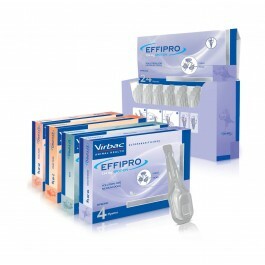 1 pipette of EFFIPRO® SPOT-ON 2.68 ml per dog weighing over 20 kg and up to 40 kg bodyweight. 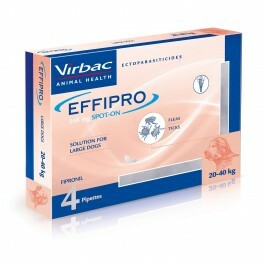 Use 1 pipette of EFFIPRO® SPOT-ON 4.02 ml for extra large dogs weighing over 40 kg and up to 60 kg bodyweight.